St. Gallen, Stiftsbibliothek, Cod. Sang. 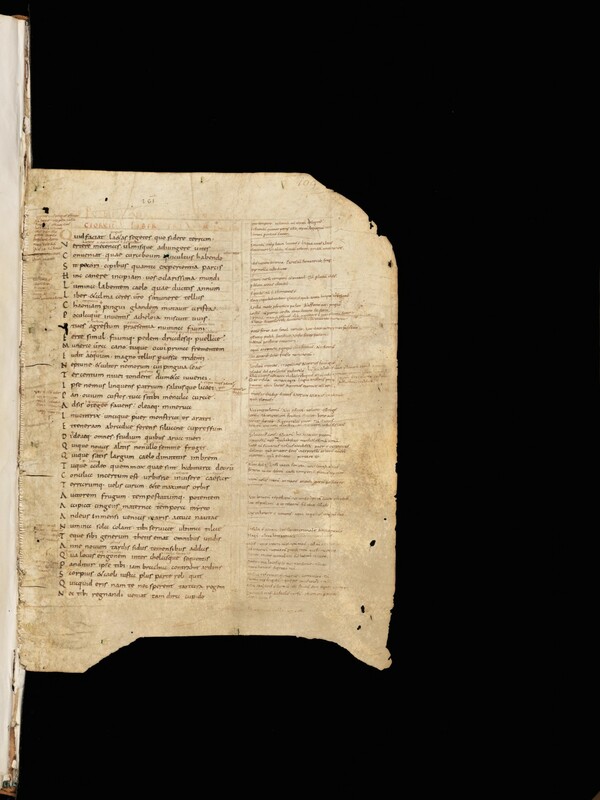 1394, p. 109 – Veterum Fragmentorum Manuscriptis Codicibus detractorum collectio Tom. I.
Veterum Fragmentorum Manuscriptis Codicibus detractorum collectio Tom. I. Standard description: Lowe Elias Avery, Codices Latini Antiquiores. A palaeographical guide to latin manuscripts prior to the ninth century. Part VII: Switzerland, Oxford 1956 (Osnabrück 1982), p. 39-41. Additional description: Scherrer Gustav, Verzeichniss der Handschriften der Stiftsbibliothek von St. Gallen, Halle 1875, S. 456-461.